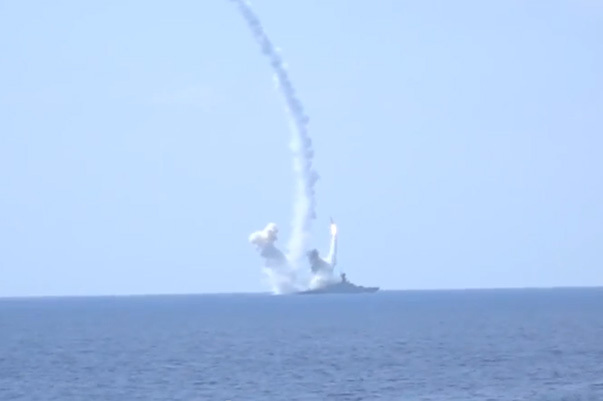 Russian ships conducted rocket fire in the Black Sea. Two ships of the Black Sea Fleet (BSF) fired missile system “Wasp” for the sea target, the head of the information support department of the Black Sea Fleet captain I Vyacheslav Truhachev told Interfax. “In accordance with the combat training plan, the crews of the small anti-submarine ship” Muromets “and the small missile ship” Mirage “, as part of a diverse tactical group, performed missile firings with the anti-aircraft missile system” Osa “for the sea target,” Trukhachev said. He specified that four missile launches had been carried out on the target simulating a small-sized naval target. “The telemetry and video recordings from unmanned aerial vehicles have confirmed the success of the combat exercise, the target is struck,” he said. Older PostVideo: U.S. Navy Assists Iranian Sailors After Pirate Attack.